Want to watch the NCAA Frozen Four and Championship games on Kodi, but don't know where to start? You're in the right place! Below, we've laid out your best high-quality options to watch the Frozen Four on Kodi through with free trials available. With the NCAA Basketball tournament over, college sports fans can now turn their attention to the ice. The 2019 NCAA Frozen Four (Minnesota vs. Duluth and UMass vs. Denver) makes its way back to TV, with both Frozen Four games scheduled back-to-back on April 11 starting at 5 PM EST. The Championship game will follow on April 13. If you’re looking to watch online, you can watch the NCAA Frozen Four on Kodi using both free and paid options. Both NCAA Frozen Four games will broadcast on ESPN2. As it’s a cable TV network, your options to get ESPN2 are limited, but there are some alternatives available through Kodi that we’ll explore below. Important note: Our guide only recommends official sources for the NCAA Frozen Four. Because there are limited options to watch the Frozen Four online, users can expect multiple unofficial streaming sites to offer the games. We recommend users avoid these options, as they not only provide inconsistent and choppy streaming experiences but are often hosted on websites carrying malware and other privacy concerns. The official options available through Kodi will not only have high-quality streams, but you can use a VPN to connect from anywhere in the world, while you can also avoid ISP speed throttling locally and internationally. 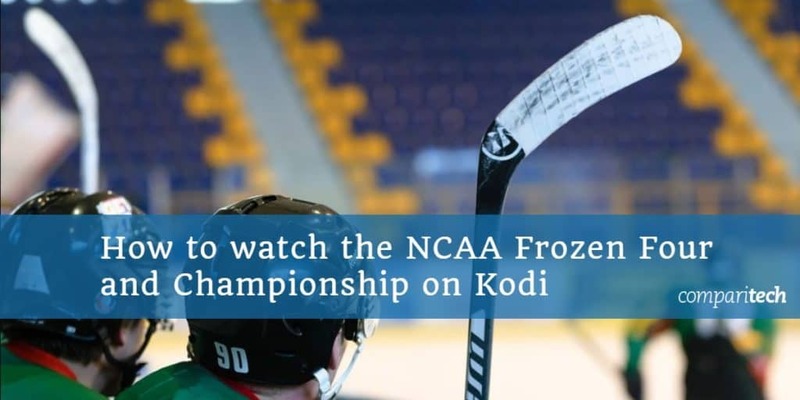 RELATED: If you are not a Kodi user we have a guide to watching the NCAA Frozen Four online outside the US here. The 2019 Frozen Four and Championship games won’t be “free” on ESPN2, but you can use Kodi to watch them without paying a dime if you’re using the below methods. First, sign-up for a VPN service of your choice, making sure there’s an available app that works with the device you plan to use. We recommend IPVanish for Kodi users, although ExpressVPN, NordVPN, and CyberGhost are comparatively good options as well. Next, download and install the VPN app onto your desired streaming device, such as the Amazon Fire TV, iOS or Android, or your Mac or PC laptop. Next, connect to a VPN server to access your streams. Your best option is a VPN server in the US for accessing your ESPN2 streams. You may also want to do a few trial runs of your VPN software and Kodi addons before the NCAA Frozen Four and Championship games begin. This will ensure your options are all working and will give you time to find alternatives should it be necessary. Those Kodi users outside of the US who want to watch the 2019 NCAA Frozen Four may need to connect to a US-based VPN server. Kodi is a great option to watch the 2019 Frozen games since there are a few easy-to-use options with free trials. If you sign up to one of the following streaming services before April 11, you’ll be able to maintain your free trial through April 13. This will let you watch ESPN2 for free, and you can cancel your subscription before the free trials end. Your best option is going to be USTVnow, which lets anyone stream from anywhere in the world and comes with a 7-day free trial. A few other alternative options you may want to consider might also offer higher-quality streams. USTVnow is a live TV service with a free option and a low-cost paid option. For those who want to watch the NCAA Frozen Four and Championship games this year, the $19/month paid subscription is your ticket. Although it has a free option, USTVnow’s paid plan comes with 25 channels that include ESPN and ESPN2. Thankfully, there’s a 7-day free trial, which means you can sign up, watch the Frozen Four games, then cancel your subscription afterward (or keep it if you enjoy the service). Importantly, you’ll need to sign up to USTVnow using an email address. If you use the one-click sign-up using your Facebook or Google account, you won’t be able to log in to the USTVnow Kodi addon. PlayStation Vue, like USTVnow, is an internet TV service that offers a large number of channels through a subscription. There is a 5-day free trial that you can use to watch the NCAA Frozen Four and Championship games. You can sign up if you’re in the US, or if you have a VPN and a US payment method and address. You’ll find PlayStation Vue carries ESPN2 through its base-level “Access” package, which you can drop after the trial period is over — or keep, if you find you like the service. 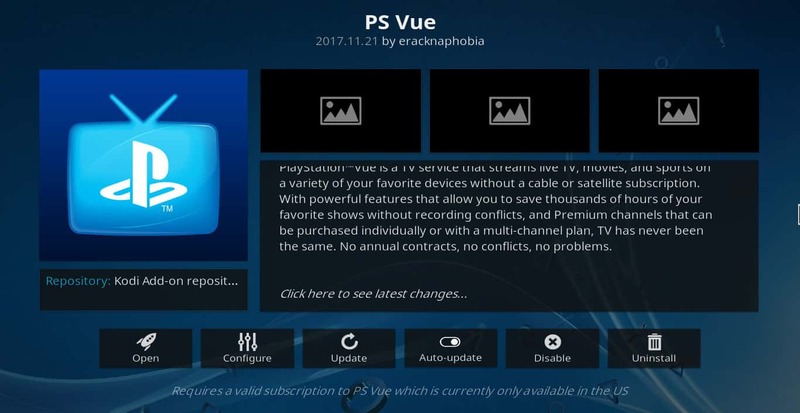 The PlayStation Vue Kodi addon is available in the Official Kodi Addon Repository. Sling TV is similar to PlayStation Vue and USTVnow in that it offers live TV without a cable TV subscription. You’ll get ESPN2 through the Sling Orange package, which you can usually get with a 7-day free trial. If Sling TV is running a special deal on its services when you go to sign up you likely won’t be offered a free trial, and there’s no money-back guarantee either. Assuming Sling TV is available with a free trial, you can sign up to watch the Frozen Four and Championship games, then cancel your subscription afterward. If you’re traveling outside of the US, you may be able to sign up while connected to a VPN and with a US-based credit card. 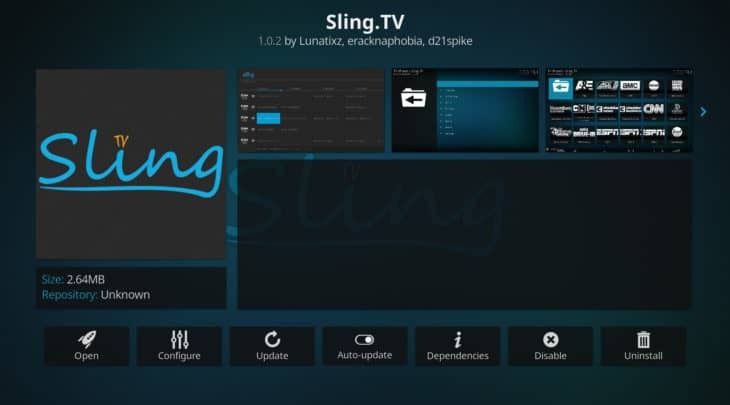 You’ll find the Sling TV Kodi addon is freely available in the Official Kodi Addon Repository.